Apple released another installment in its iPhone 7 ‘practically magic’ video series today that celebrates stickers. The spot, called ‘Sticker Fight’ pulls sticker packs out of the Messages app and into the physical world. Set to a single by The Monks called ‘Boys are Boys and Girls are Choice,’ which has a fantastic 60s-style beat, the video features a sticker fight that breaks out across a city with people slapping stickers on each other and practically everything else in the landscape. 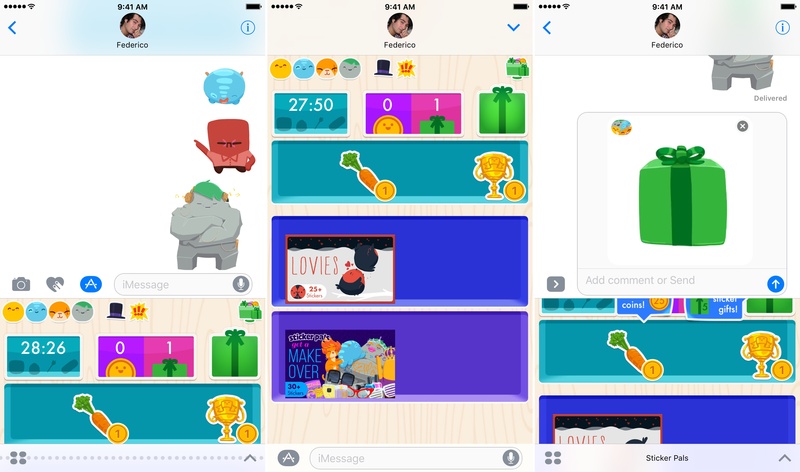 You may have noticed that we’re big fans of iMessage apps and stickers. Since their introduction with iOS 10 in September, we have covered more than 250 sticker packs and apps between MacStories and the weekly roundup of stickers Federico and I do in MacStories Weekly for Club members. That’s a lot of apps and stickers, and there are so many excellent ones we covered this year that it was difficult to narrow them down to shorter list. When it comes to iMessage apps, my favorites are games and apps that make it easy for me to share bits of useful information with friends and family. Sticker packs become favorites for a wider variety of reasons; some are useful, allowing me to get my point across better than words alone, others are funny, and some just look great, but all liven up conversations. Here are my favorites of 2016. Each week, we cover notable iMessage app and sticker releases in The Album, a dedicated section of MacStories Weekly, a newsletter sent exclusively to Club MacStories members. MacStories Weekly is currently on a short holiday break and will be returning on January 13 with all-new sticker picks, app debuts, and much more. 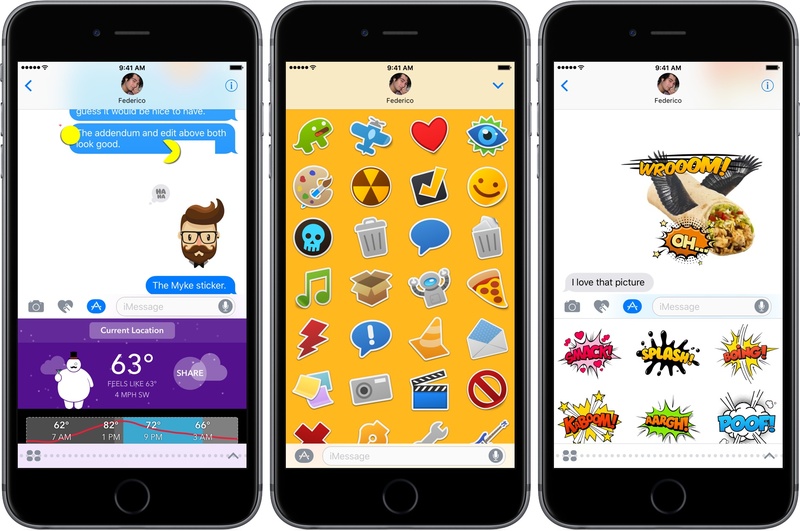 When Apple launched the iMessage App Store with the release of iOS 10, it was dominated by sticker packs. Many of my personal favorites came from Disney, including the Star Wars , Zootopia , and Mickey & Friends packs. But one of the nice things about the new App Store was its accessibility to a wide variety of creatives, not just the big players like Disney. A simple sticker pack truly requires no coding knowledge. Because of that, since day one there has been an abundance of sticker options on the iMessage App Store, each with a unique story behind it. 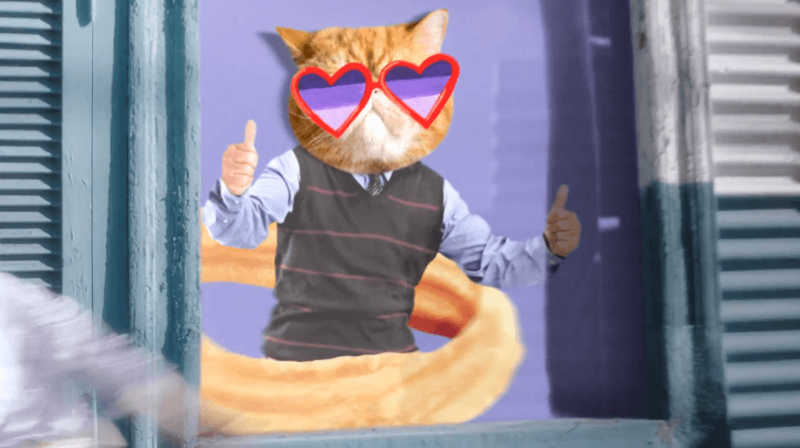 One such story comes from Marcy Smith and Andrew Williams, the creators of MarcyMoji . Born out of Marcy's lifelong love of painting, MarcyMoji was originally conceived as a custom keyboard, but Apple's announcements at WWDC quickly shifted the couple's focus to building an iMessage app. One of the intriguing aspects of iMessage sticker packs is that they can be as simple as static images or as complex as full-blown apps. There’s a place for both, but it’s interesting to see innovation beginning to take shape as a differentiator among sticker sellers. Health Stickers, by Krishna Kumar, is a good example. It lets you share your exercise and health accomplishments via stickers, whether that’s your step count, weight, heart rate, or something else. What’s cool about the app is that it pulls health data from Apple’s Health app with your permission. Share you step count with a friend in Messages and the sticker includes your current step count total. The stickers cannot update dynamically, but you can always resend a sticker to a recipient if you want to update your statistics. The step count in particular seemed high compared to Pedometer++, but for casual sharing, as opposed to precise measurement, the app has a lot going for it. Health Stickers is available on the iMessage App Store as a free download. It was clear before iOS 10 launched that sticker packs and iMessage apps were going to be big. The only question was – how big? In the last 30 days, the iMessage App Store has exploded. According to SensorTower, there were over 1,650 sticker packs and apps available in the iMessage App Store after just ten days. The first couple of weeks felt like the early days of the App Store. If you wanted to, you could browse every sticker pack and iMessage app available. There were a lot, but you could make out the edges where the store stopped. One indication of the iMessage App Store's growth is that those edges are rapidly disappearing. Over the past four weeks, we've been scouring the iMessage App Store for the best stickers and apps. We started sharing some of the best in the Club MacStories Weekly newsletter, but every time we went back to the store there were three more cool things for every one we had shared. 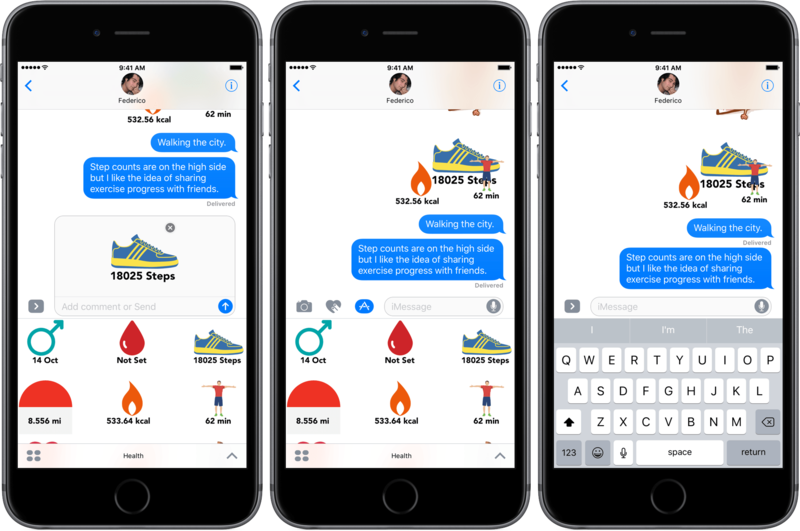 So, to mark the first full month of iOS 10, we thought we would do another, even bigger roundup of iMessage apps and sticker packs with the best ones shared with Club MacStories members so far, plus a whole lot more. Lore ($1.99) – a collaboration with the well-known podcast about scary stories drawn from true historical events that features cartoon-style illustrations of classic Halloween images. Hack-O-Lantern ($1.99) – a pumpkin decorating sticker pack that lets you design your own jack-o-lantern by yourself or with a friend. BoneHeadz ($0.99) – a variety of animated skull stickers by illustrator Von Glitschka. Spook On ($0.99) - classic Halloween iconography in the style of the previously-launched Stuck On pack. Macabre ($0.99) - a mix of animated and static Halloween images in a slightly scarier vein. Ravenswood Manor ($0.99) - an animated collection of characters you would expect to encounter in a haunted house. There are a couple unique features to the Iconfactory’s Halloween sticker packs. First, each comes with a Halloween-themed wallpaper that can be accessed by tapping the name of the sticker pack at the bottom of the Messages drawer. Second, each sticker pack is available for a limited time only. When Halloween is over, the sticker packs will vanish like a ghost in the mist. Howell was given until this Thursday to change his stickers. Howell decided not to change them and the stickers were pulled from sale. Today, Howell published a follow-up that provides interesting insights into the early iMessage App Store from the perspective of an app that sat in the #1 paid spot for eight days in a row. Phoneys, which cost $0.99, netted $23,206 in the eleven days it was available and drew nearly two million impressions. The high number of impressions were driven by Phoneys' spot in the Top Paid chart, but conversion rates were highest from customers who tapped a link to Phoneys from Howell's and other websites, highlighting importance of marketing outside the App Store. Right now, depending on the day of the week, 1,000–1,500 sales a day will make your app #1 Top Paid in the iMessage App Store. Around $2,500-$3,000 dollars in sales a day will make your app #1 Top Grossing in the iMessage App Store. Being featured on the iMessage App Store home screen will get your app around 150,000-200,000 impressions a day, but unless you’re on the top paid or top free chart, it won’t drive very many conversions (I’ve talked to several folks whose stickers are currently being featured that back this up). 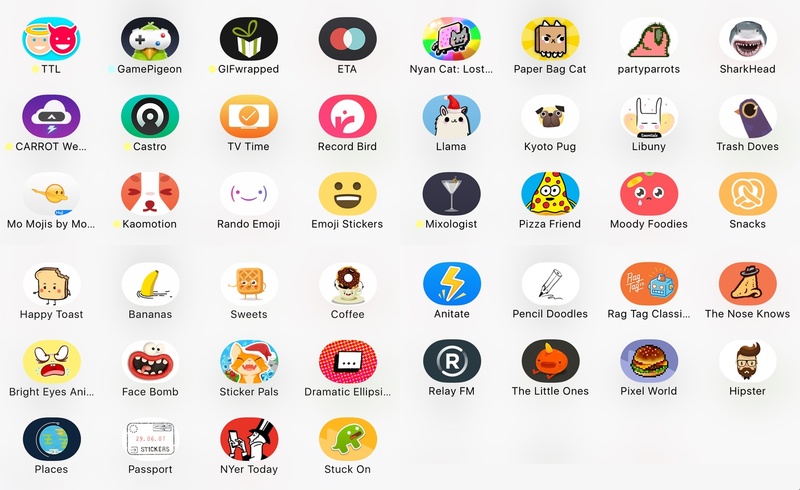 Howell's data reflects the performance of just one sticker pack that was available for less than two weeks, but given its success during that brief period, Phoneys is a fascinating behind-the-scenes look at the early iMessage App Store. I highly recommend reading Howell's full post. When we published our roundup of iMessage apps and sticker packs yesterday, we had to leave out one of our favorite sticker packs because it hadn't cleared App Review yet. Fortunately, Sticker Pals from Impending was approved last night. Sticker Pals, which features illustrations from David Lanham, is the single most ambitious sticker pack I've tested with hundreds of stickers divided into categories accessible from buttons along the top row of the sticker viewer. The first four buttons access animated character sets. The other two buttons are a combination of static and animated ’playsets,’ which include things like hats, beards, googly eyes, and food. I've had a lot of fun with these stickers, especially when combined with other stickers. Sticker Pals also has a store where you can spend coins to collect new stickers or send sticker gifts to friends. The coins and gifts are replenished periodically throughout the day at no charge giving you a reason to return to Sticker Pals over and over, collecting new stickers each time. You can also purchase additional character sets and playsets as In-App Purchases; currently Sticker Pals offers one of each. Sticker Pals, with its standard set of stickers, is available for as a free download from the iMessage App Store. Additional character packs are $1.99 and new playsets are $0.99. Messages started life as an innovative app that unified SMS with Apple’s own free iMessage service when it was introduced five years ago. As time passed, Messages fell behind many of its competitors like Facebook Messenger, Telegram, WhatsApp, LINE, WeChat, and others. With the introduction of iOS 10, Apple has made up substantial ground with Messages while upholding its commitment to customer privacy. Few third-party developers would have imagined even a couple of years ago that Apple would open up one of its most important first-party apps to them, but that is precisely what Apple has done with iOS 10. 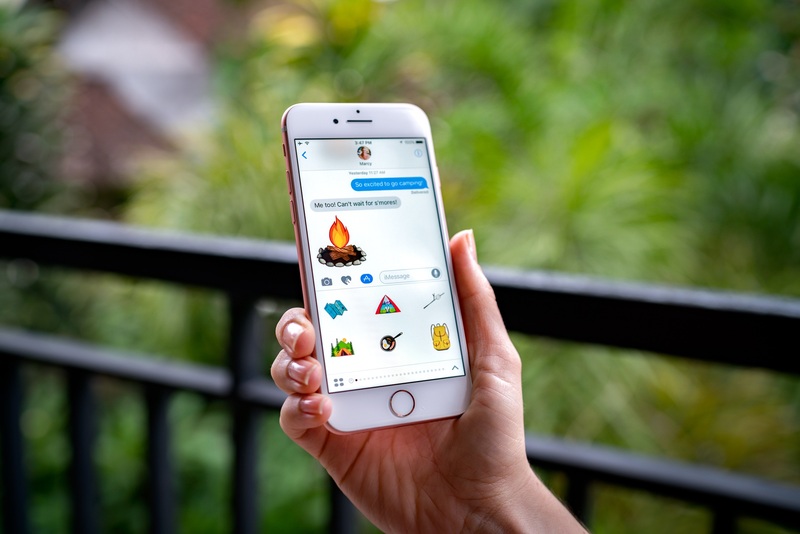 In the process of unlocking Messages, Apple has created a whole ecosystem of apps and sticker packs with their own dedicated store built right into Messages. Developers immediately sensed an opportunity and an all-new land rush is in full swing. Over recent weeks, Federico and I have tested dozens of iMessage apps and sticker packs, exchanged hundreds of stickers, made interactive to-do lists, played games, edited photos, and much, much more. 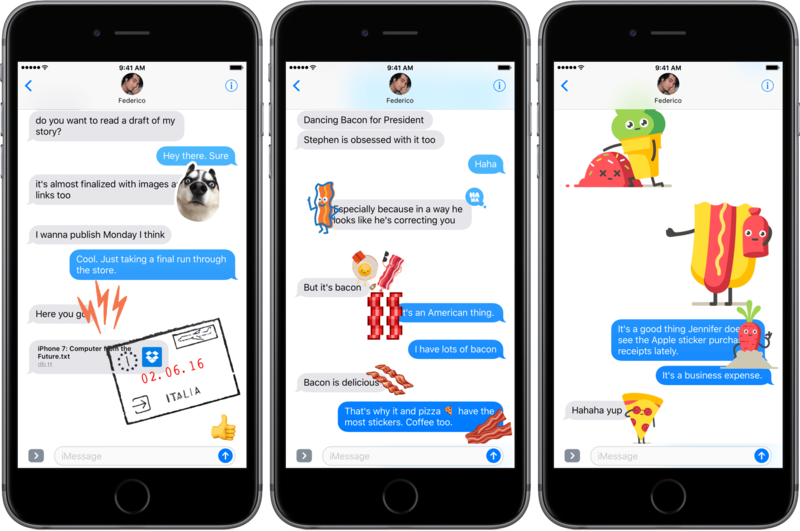 Some of the things we’ve tried are highlighted in Federico’s iOS 10 review to illustrate particular aspects of the Messages app, but we’ve seen so many interesting apps and stickers, we wanted to share them with readers in one place.